Staff are being trained for possible acid attacks in Chelmsford. Police are helping to protect the city’s bustling nightlife by giving specialised kits to bars and nightclubs in case a terrifying event were to happen outside their doors. This is believed to be the first such initiative in the country. A total of 17 establishments have the possible life-changing equipment and have trained their employees on what to do should an acid attack take place. These kits were created as an initiative by Pubwatch after an incident occurred in east London in 2017. Managers and bar owners came together to craft a kit that could prevent and reduce severe scarring. 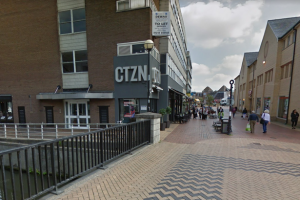 Nick Halle, manager of CTZN bar in Chelmsford, explained why the kits are in venues. He said: “The first two to three minutes are so important before the ambulance service get there”. “When there has been an acid attack you need to constantly shower water over the area”. Nick explained that the shower adaptation can be placed on the bottle top to allow the water to be distributed slowly on the affected area, allowing time to get more water and for the emergency services to arrive. Water helps wash away the substance and to dilute the acid, but a quick shot of water will not guarantee this important step. What to do if there is an acid/substance attack? Burns caused by alkaline, acid or dangerous chemicals can be very damaging and need immediate attention. First, call 999 for urgent help. Then to prevent severe injuries, try to carefully remove any contaminated clothing and rinse the affected area by using as much clean water as you can. Be careful not to touch or spread the chemical as it could lead to further injuries to the victim or the person helping them. Do not wipe the skin as they may spread to other areas, and if the chemical is dry you can brush it off the skin carefully. Continuously clean the area with water, to allow the water to rinse and fall off the body and stay on the phone to 999 until the ambulance arrives. Essex Live spent this morning (Thursday, January 31) asking residents in Chelmsford how they felt about the acid attack kits being handed out. Another, who did not want to be named, said: “I think it’s a good idea, we haven’t had any attacks around here but it’s common sense if we do get something”. Sue Thompson, 65, has lived in the area for 40 years. She said: “It is a good idea as you don’t know what is going to happen”. “It could give the wrong people the wrong information”. 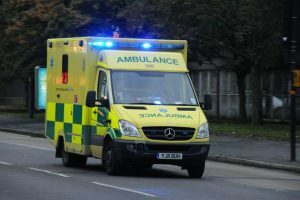 Brendan Clarke added: “It is a good idea to ensure the safety of the public, and it’s more to prevent any injuries from getting worse before the ambulance service gets there”. “But if people know about it might lower the tone, people will think it’s rough and it’s going to be rough here”. The 36-year-old continued: “I’m torn, it’s a good idea, but I don’t want the wrong people who want to cause misery and pain to know we have it. It’s safe but not safe”. What is inside the acid attack kits? David Greenman, 35, moved to the area from Australia two weeks ago and is concerned. He said: “It’s terrible if that is the case, I’ve been here for a couple of weeks”. “It wouldn’t be nice if people go out to relax and feel panicked”. CTZN manager, Nick, 41, responded: “It’s better to prepare for something that will never happen than not be prepared for something that does”. “We hope there isn’t going to be a stabbing in the city, or a fight on the weekend but they could all happen”. “As licence owners we are trying to be responsible for our customers and others in the city. It’s better to be prepared than close our eyes to it”. “We want people to enjoy the nightlife in Chelmsford”. “We want people to come out for the nightlife in Chelmsford, it’s important here, for those who work in the industry and everyone who relies on the night economy,” added Nick, the chairman of Pubwatch”. “It’s a nice place to go out and it’s safe”. Pubwatch is a national organisation set up to promote the best practice to achieve a safer drinking environment in all licensed premises through the country. Pubwatch provides an opportunity for licensed businesses in the area to work in partnership with officers, local authorities, the fire service and Trading Standards to prevent crime, disorder, public nuisance and harm to children, as well as promoting public safety. The acid attack kits were bought, crafted and supplied by members of Pubwatch, after seeking advice on what the kit should entail from the ambulance service, medics and those involved with Open Road SOS bus Chelmsford. The kits can also be used in other major incidents, as they contain scene tape and a cordon log and other essential items. Chelmsford community policing team inspector Andy Sawyer said: “Through Chelmsford’s Pubwatch scheme, which sees us work with local partners and licensed premises, acid attack kits were introduced to 13 licensed venues in the city centre in July 2017”. “This came after concerns were raised by the Pubwatch community following an incident at an east London nightclub in April 2017, where 22 people were injured after coming into contact with corrosive substance, which had been deliberately thrown”. “Thankfully, there has been no need for the kits to be used in Chelmsford”. “This is about responsible licensees taking precautionary measures to ensure their customers are as safe in the unlikely event of an incident involving a corrosive substance”. “Chelmsford is a safe place to live, visit, work and socialise”. “These kits are a preventative measure put in place to make people feel safer”. It is believed the kits are being adopted in Colchester too. Nick, who is opening a CTZN bar in Romford on (Friday, February 1), has said he has purchased a kit for the new branch.